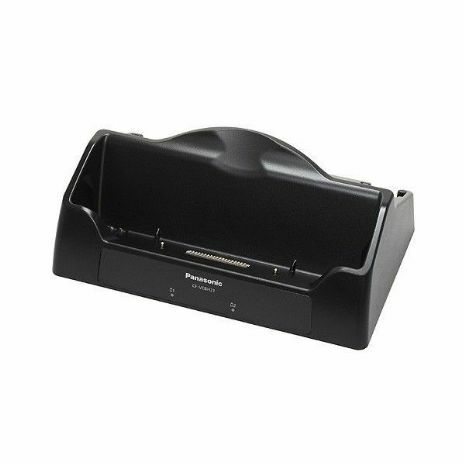 This desktop cradle docking station has a 2-bay battery charger slot, enabling two spare batteries to charge simultaneously with the unit. Easy drop-in cradle provides 3 USB ports, LAN, serial, VGA, DC power and security lock slot. Compatible with the Panasonic Toughbook CF-H1 and CF-H2 Tablets. Used, Boxed (Grade A Condition).